Entrances, college exams, group discussions and interviews. With this roller coaster of a ride and the preparation that went for it, we, some 340 odd students made it to the Indian Institute of Foreign Trade. Each person filled with some apprehensions and a lot of excitement about IIFT, life at IIFT and some even about parties at IIFT. 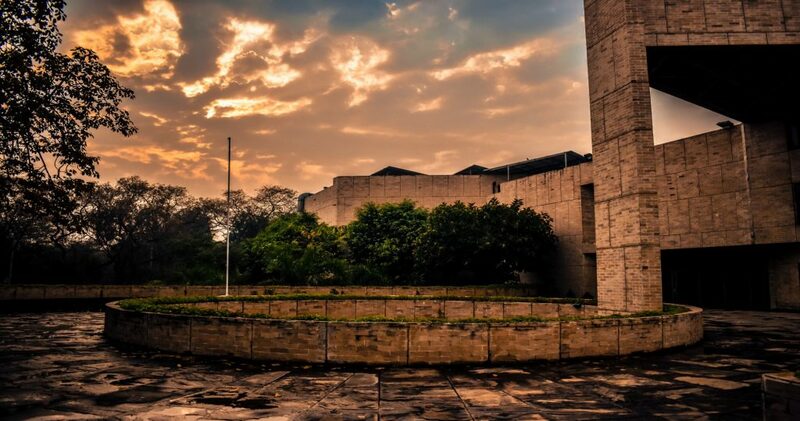 IIFT has a small campus when compared to the IIMs of the country. However, this space crunch has been instrumental in decreasing the space between girls and boys and between seniors and juniors. Coming to seniors, they are the backbone of IIFT. From grooming and guiding juniors to maintaining the culture at IIFT to looking after their juniors, they do it all and they do it well. Despite playing basketball, volleyball and throwball in the parking lot, Adrenaline (Sports Team) managed to beat the other B-schools at various competitions. That is the level of dedication and hard work in our students. The students here can bring out the best out of nothing. Coming to a b-school we all had some idea of the rigour we would be undergoing. However, what happened during the PDP none of us had imagined. With one and a half hours of sleep, we did our assignments, attended guest lectures with open eyes and listened to our seniors with alert ears. That week seemed impossible at the beginning, but as rightly pointed out by one of the seniors when we think we have reached our limit, we have utilised only forty percent of our capacity. We have to know our batchmates during this time. In addition, not to forget the fifteen minutes breakfast/lunch/snacks/dinner deadlines. During this time, the scene at the mess was like a refugee camp with more than four people eating from a single plate. It helped us bond with each other and learn so much like team building and sharing. Once a group of six of us had to make an assignment and we ended up making two assignments, each made by a group of three. That was the ay I realized the importance of communication, coordination and of course a good internet connection. The best part of the PDP was the last part when around 150 unsuspecting students were welcomed as students of IIFT. I would never forget that day in my life. Once the regular classes started, we got to know our classmates. I have to know we had a celebrity in our class, Rajesh Khanna. Well, the one from the south. With no knowledge of Hindi, and a yearning to learn Spanish he is a person who cannot say no. Next, we have the “Talking Machine” of our class, Simran. With allegations of DCP against her, she still refuses to back down. Which ABG Company would you want to work for? About the company in ABG, that I would like to work for would be Aditya Birla Fashion and Retail Limited, which deals with branded apparel. Apparel is an industry, which is updated every year, sometimes even every month. This constantly changing environment and new challenges is just what one needs to grow. Being someone whose life is clothes and loves to dress and dress others; this company would give me the chance to work with the top brands in the industry like Van Huesen, Pantaloons and international brands like Ted Baker. Personally, I have been shopping from Pantaloons since ages now and the possibility to actually be a part of it gives me goose bumps.